Researchers from Washington University School of Medicine in St. Louis have found that drinking concentrated beet juice increases muscle power in patients with heart failure. Based on research in elite athletes, especially cyclists who use beet juice to boost performance, the study’s corresponding author, Andrew R. Coggan​, PhD, assistant professor of radiology, suggested trying the same strategy in patients with heart failure. The research was published in the journal Circulation: Heart Failure. For their study, the investigators looked at nine patients with heart failure. Two hours after the treatment, patients demonstrated a 13 percent increase in power in muscles that extend the knee. According to a news release from the university, the researchers observed the most substantial benefit when the muscles moved at the highest velocities. The increase in muscle performance was significant in quick, power-based actions, but researchers saw no improvements in performance during longer tests that measure muscle fatigue. 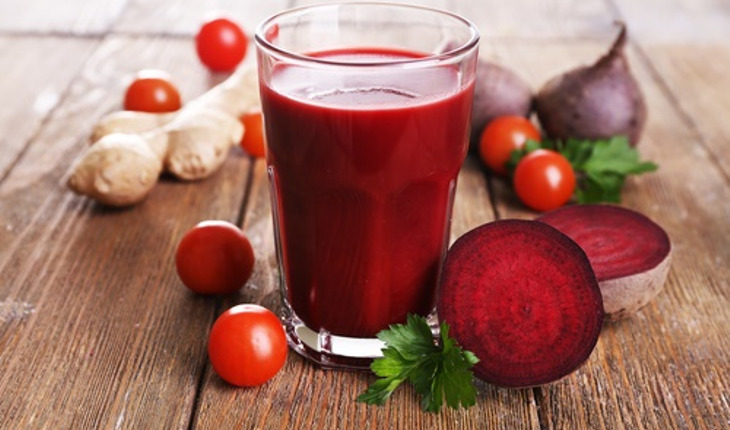 Patients in the study served as their own controls, with each receiving the beet juice treatment and an identical beet juice placebo that had only the nitrate content removed. (Nitrate is the beneficial ingredient in beet juice.) There was a one- to two-week period between trial sessions to be sure any effects of the first treatment did not carry over to the second. Neither the trial participants nor the investigators knew the order in which patients received the treatment and placebo beet juice. The researchers also pointed out that participants experienced no major side effects from the beet juice, including no increase in heart rates or drops in blood pressure, which is important in patients with heart failure. While the trial was not designed to find out whether patients noticed an improved ability to function in daily life, the researchers estimated the size of the benefit by comparing the improvement in muscle power with what is seen from an exercise program. The nitrates in beet juice, spinach and other leafy green vegetables such as arugula and celery are processed by the body into nitric oxide, which is known to relax blood vessels and have other beneficial effects on metabolism. With the growing evidence of a positive effect from dietary nitrates in healthy people, elite athletes and now heart failure patients, the researchers also are interested in studying dietary nitrates in elderly populations.